Annique Essense Rooibos Miracle Tissue Oil has been formulated with Rooibos-infused oil to help calm and revive your skin. A special manufacturing process allows Rooibos oil to be included in this treatment which helps to improve the appearance of scars, wrinkles, uneven skin tone and stretchmarks. The unique combination of nourishing plant oils like sweet almond, rosehip and baobab combined with Rooibos oil makes it highly effective for numerous skin concerns, including aged, damaged and dehydrated skin. • Rooibos-infused Oil – Annique uses a unique technique (never used before) to infuse an oil with Rooibos extract. This oil contains Rooibos’ nourishing, soothing and rejuvenating properties. It is rich in antioxidants and flavonoids (the rarest known supplement). • Sweet Almond Oil contains glucosides, minerals and vitamins and is rich in protein. Good for all skin types, relieves dryness, itching and inflammation. • Rosehip Oil is a versatile oil, ideal for skin repair, rejuvenation, scar healing and moisturising. • Soya bean Oil is high in vitamin E and its 60% linoleic acid content makes it valuable for helping many skin problems. • Baobab Oil is a superb moisturiser for skin and hair with essential fatty acids to improve elasticity, cell regeneration and skin restructuring. • Vitamin E is nature’s optimal skin rejuvenator and healer. Apply generously to scars, stretchmarks, wrinkles and dry skin as often as possible. The Miracle Tissue Oil is a skin treatment oil with moisturising properties. Apply a moisturiser after application if skin is prone to dryness. • For an intense moisturising treatment for very dry or dehydrated skin. Apply to face and neck before the Annique moisturiser for your skin type. • To help prevent dry brittle nails. Massage the nails with Essense Miracle Tissue Oil as often as possible. • To help reduce stretchmarks: Apply Essense Miracle Tissue Oil to stretchmarks and areas where stretchmarks might appear, like stomach, breasts and thighs as often as possible, followed by your moisturising body lotion. Start applying Essense Miracle Tissue Oil as soon as you fall pregnant for optimal care of your skin to prevent and treat strechmarks. • For uneven skin tone: Apply Essense Miracle Tissue Oil daily, followed by your normal Annique skin care products and sunscreen. • For an effective hair treatment: Massage Essense Miracle Tissue Oil into your hair using your fingertips once or twice a week. Work your way from the roots to the ends of the hair strand, massaging the oil into your hair and scalp. Brush the oil through from roots to ends. Rinse and wash your hair as normal. For really damaged hair, cover your hair with a shower cap after massaging the Miracle Tissue Oil in. Leave the oil on overnight, allowing your body heat to help nourish the hair through the night. • For an effective rejuvenating facial treatment: Apply Essense Miracle Tissue Oil to your face and neck, before you apply any Annique facial masque, leave on for 15 minutes and remove. Then apply your normal Annique skin care products and sunscreen. 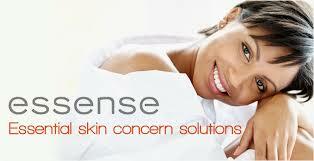 • For dry or cracked elbows, knees, hands and feet: Apply Essense Miracle Tissue Oil to help soothe dry, cracked skin. • Ideal to use with DermaLIFT galvanic ion machine. The Annique Miracle Tissue Oil is available at Annique Day Spa.